So...just thinking about my ideals given the response to that post... and I've been thinking about this. Out of that they have to take their paint cost and then paint the house. So if you figure $300 in materials - which is probably too cheap, you are looking at $2000.00 to paint prime, two coats and all the trim. Now there isn't much cutting because there aren't lots of colours - usually only two and they are boring builder colours. But...do the math.... that basically works out to 4 guys for a week - which is probably about right...but the 4 guys are making just over minimum wage for that week. That's not that cool - considering you can be an unskilled labourer and your rate is $22 starting - if you are in the union. Ok - interesting, i don't necessarily disagree with the need for unions - given the opportunity people will allow their greed to exploit people all over. For example, check my last post mentioning chocolate. 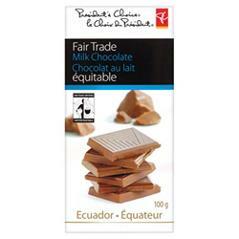 All we have to do is stop buying chocolate from the big chocolate suppliers and buy fair trade chocolate - which you can get at your local grocery store. But we don't because why...because our savings of what...$1 is more important to us than the fact that children were bought and sold to harvest the coca which makes the chocolate? So the value of humanity for those of us who don't change our chocolate purchasing trends is about $1 or so? Great.